Your credit score range has a significant impact on your financial life, from the interest rate on your auto loan to whether or not you qualify for a mortgage. You may already know your three-digit credit score. However, are you aware of the significance of your credit score range and how it can impact your ability to obtain new lines of credit? Knowing your credit score range can help you predict whether or not you’ll qualify for a new loan or credit card. Given its significance in your financial life, it’s worth taking the time to understand. There’s no single federal agency that oversees credit reports and scores. Instead, there are a number of for-profit companies that track consumers’ financial data to create credit reports about them. The three main credit monitoring bureaus are TransUnion, Experian, and Equifax. These three are the largest credit bureaus, though there are certainly many other smaller bureaus that may be tracking your credit and releasing credit reports related to niche industries, like business credit, employment screening, and tenant screening. The reason it’s difficult to say a consumer has one single credit score is that each of the major credit bureaus may report a slightly different score. 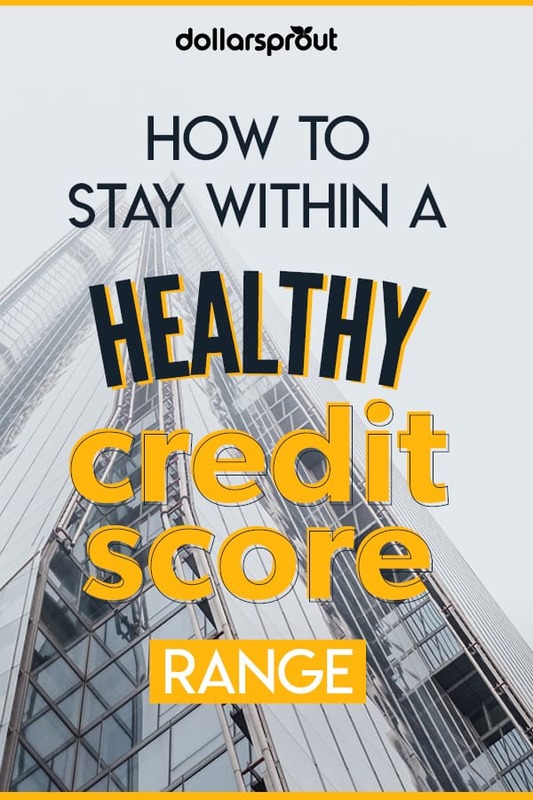 Then there are a number of companies that offer a sort of credit score meter, like Credit Karma and Credit Sesame, each of which may also report a slightly different overall score. If you think you have only one credit score, think again. Each credit bureau collects information independently of the others. Since lenders aren’t required to submit your information and do so voluntarily, they may choose to submit it to all three or none of the bureaus. As a result, each bureau may have different information regarding your credit history. Once the credit bureaus have your information, they have traditionally relied on a proprietary formula licensed by FICO® (formerly the Fair Isaac Corporation) to synthesize the credit information they collect and present it as a single score. More recently, the bureaus themselves developed VantageScore, seeking to create a more consistent and predictive scoring method. VantageScore 3.0 provides three different scores, one each from TransUnion, Experian, and Equifax. Since each credit reporting agency may have different pieces of your credit history, it’s not unlikely that you’ll have a different credit score for each. One of the easiest ways to track your credit score is to sign up for a free credit reporting tool like Credit Sesame. Credit Sesame allows you to track your credit score for free and provides insights as to how you can improve your score. Consumers are also entitled to one free credit report yearly from each of the major reporting bureaus. This report does not include your credit score, but it does include your credit history and all accounts that have been opened under your name. Checking your credit report on a regular basis ensures that your credit information remains accurate and up to date. To get your free credit report, visit AnnualCreditReport.com. Since you can receive one report from each bureau per year, it’s typically wise to check your report every four months or so to keep close tabs on your credit. A number of banks also offer customers a free FICO® score or other tools to check and monitor your credit score. Be sure to check with your bank about what kind of credit reporting and monitoring tools may be available for you. A credit score is generally considered “good” by lenders if it’s above 700 points. With credit scores, the higher your score, the more trustworthy you appear to lenders. Here’s a basic breakdown of what different scores mean and how they can affect you financially. 300-579 Very Poor Applicants with this rating may not be approved by lenders at all or may be required to pay fees or deposits or have a co-signer for a loan. 580-669 Poor Applicants with this rating are considered by lenders to be “subprime,” so the interest rates they qualify for are some of the highest. 670-739 Good Only a small percentage of these applicants are predicted to become delinquent on payments, so lenders are likely to approve them. 740-799 Very Good Applicants with this rating are likely to receive better-than-average interest rates on loans. 800-850 Excellent Applicants with this rating will get the very best available interest rates from lenders. The higher your credit score, the more likely you are to be approved for new lines of credit. You could also pay significantly less in interest over the term of a loan. As you can see, having good credit can potentially save you thousands of dollars over the life of a single loan. Now that you know exactly how much is at stake, it’s time to start taking steps to increase your credit score. Here’s what you need to do. Before you can start working to increase your credit score, you need to know what factors affect it and by how much. Here’s a simple breakdown of how your FICO® score is calculated. This won’t be exactly how your other credit scores are calculated. However, it still gives you a solid idea of the factors at play and which ones are most important to watch. Payment History 35% This tells potential lenders whether you have a history of paying your bills on time. Any late payments, especially recently in your credit history, are negatives here. This also accounts for foreclosures, bankruptcies, delinquencies, and collections. Any of those on your credit report can tank your score. Amounts Owed 30% Here, lenders look at how much debt you currently have versus your total available credit. 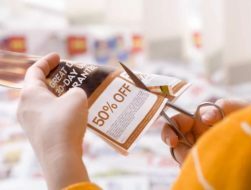 For example, if you have three credit cards totaling $25,000 in available credit and a balance of $23,000, lenders might think you’ve spread yourself too thin. As a rule of thumb, it’s good to keep balances under 30% of your available credit. Length of Credit History 15% If you just opened your first credit card a few months ago, lenders don’t have much data to measure your creditworthiness. On the other hand, if you have decades of credit history, lenders believe your reports accurately reflect whether you’re trustworthy with a loan. New Credit 10% Opening new credit accounts can actually hurt your score. If you’re planning to apply for a home or auto loan, it’s best not to apply for any new credit cards or loans for a year prior. Types of Credit 10% The more types of credit accounts you have, the better. If you have credit cards, an auto loan, and a mortgage, you’re a more appealing customer for lenders than someone who has just one credit card or a single student loan. Now that you know what factors determine your credit score, it’s time to take a closer look at your own. Using a credit reporting app like Credit Sesame can give you a clear picture of where you’re doing well and what areas could use improvement. Each time your credit score updates, you’ll receive a notification as to what changed and why it affected your score. Using this knowledge, you can begin implementing better financial habits to improve your credit score and even graduate your credit score range. If your credit score is low, try to determine why. Is it because you have accounts in collections? By understanding what’s dragging your score down, you can begin to look for solutions (e.g pay off your debt in collections, dispute the accounts, etc.). On the other hand, if you see your credit score drop because you applied for several new credit cards, you may want to halt on new credit applications. Focus on keeping your credit utilization low and making all your payments on time. If your credit is really poor and you need help building it up, consider a credit repair service. These services can communicate with all three major credit bureaus on your behalf to ensure your credit reports are accurate and challenge anything that’s lowering your credit score. 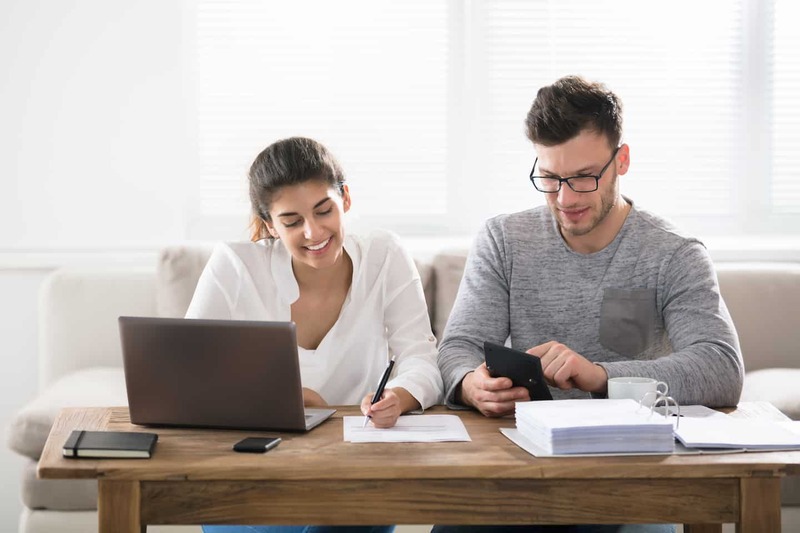 Once you’ve addressed any specific issues with your credit, there are some general practices that can help anyone build and maintain good credit. Keep your credit card balances as low as possible, but at least under 30% of your available credit. Don’t close old credit cards, even if you no longer use them. That can shorten your credit history and decrease your available credit. Pay down debt as quickly as possible. Limit applications for new credit. Only apply for new loans or credit cards if you really need to. Watch your credit report closely. Even as your credit begins to improve, keep checking it regularly to make sure no errors end up on your credit report and cause your score to drop. If your bank offers a free credit tracking tool, it’s good to utilize that throughout the year. However, also make sure you’re requesting all three of your yearly free credit reports and checking them for accuracy. It may take time to improve your credit score range depending on your situation. Even if you’re doing everything right, it could take months or even years to see major changes in your score. Keep up those good habits, and be patient. Over time, you will see your score gradually rise. If you never plan to borrow money ever again, then your credit score doesn’t matter all that much. However, that’s not the reality for most of us. Therefore, it’s important to understand your credit score and strive to hit the highest credit score range available. I think there’s a typo: “For example, on a 30-year, fixed-rate mortgage, someone with a FICO® score of 620 would have a lower monthly payment and pay significantly less in interest than someone with a credit score of 760 or above”. Think you meant to say “higher monthly payment” and “more in interest”.